Microsoft has unveiled the latest version of its HoloLens augmented reality headset, promising wearers would feel more immersed in the augmented reality experience and more comfortable. 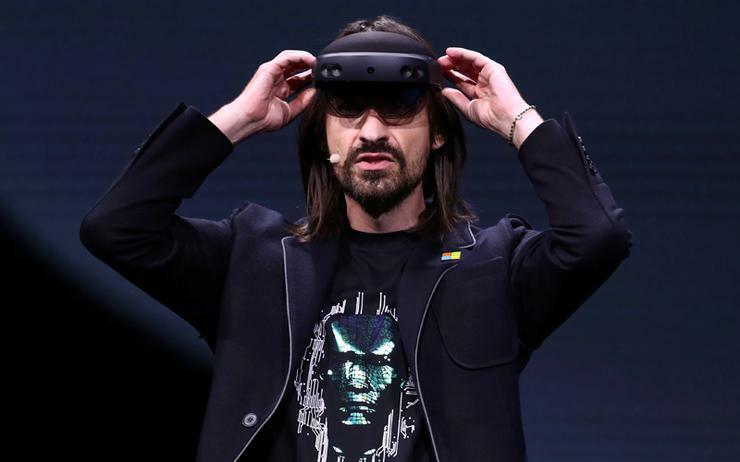 Slipping on the carbon fibre goggles is as "simple as putting on your favourite hat", Microsoft developer Alex Kipman told a launch event at the mobile industry's biggest trade fair in Barcelona. Augmented reality devices overlay images as holograms on to a user's real-life field of vision, aiming to improve efficiency at businesses ranging from doctors' offices to factory floors. Microsoft showed off how the HoloLens 2 can track eye movements, and allow wearers to feel as though they can touch and manipulate holograms - playing a hologram piano and changing the speeds on a hologram wind-farm installation. “This is a tremendously exciting time for Microsoft, our partners, our customers, the computing industry and indeed the world,” said Julia White, corporate vice president of Microsoft Azure. Since the release of HoloLens in 2016, White said the industry has seen mixed reality “transform the way work gets done”. “We have unlocked super-powers for hundreds of thousands of people who go to work every day,” White added. “From construction sites to factory floors, from operating rooms to classrooms, HoloLens is changing how we work, learn, communicate and get things done. “We are entering a new era of computing, one in which the digital world goes beyond two-dimensional screens and enters the three-dimensional world.